Everyone is back in school! Which of course means it’s time to get back in the habit of packing lunches. Along with finding fun and healthy things to eat, I like to send a little giggle with the kids. 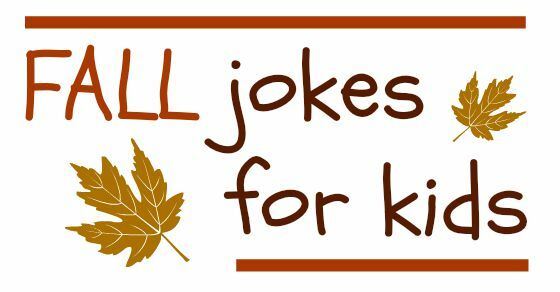 I’ve rounded up a new list of jokes for kids (including knock-knock jokes) perfect for adding to lunch boxes this time of year. I hope your kids love them as much as mine did. What do you think of when fall approaches? Pumpkins, leaves, and elephants? Hee hee, you’ll have to read the fall jokes to see about that last one. Click here to print the jokes. How do you mend a broken pumpkin? — With a pumpkin patch! What’s the best thing to put into a pumpkin pie? — Your teeth. If money really did grow on trees, what would be everyone’s favorite season? — Fall. Why do birds fly south in the Fall? — Because it’s too far to walk. What has ears but can’t hear a thing? — A cornfield. What reads and lives in an apple? — A bookworm. What did one leaf say to another? — I’m falling for you. What did the little tree say to the big tree? — Leaf me alone. What runs around a farm but doesn’t move? — A fence. Why do trees hate tests? — Because they get stumped by the questions. Why shouldn’t you tell a secret in a cornfield? — Because the corn has ears. What’s an elephant’s favorite vegetable? — Squash. Do you have any funny fall or autumn jokes to add? Share them in comments. Thanks for asking! You can post one or two with a link back but please don’t use the image or all of the collection. Why type of vehicle should you drive in the fall? An autumnobile. 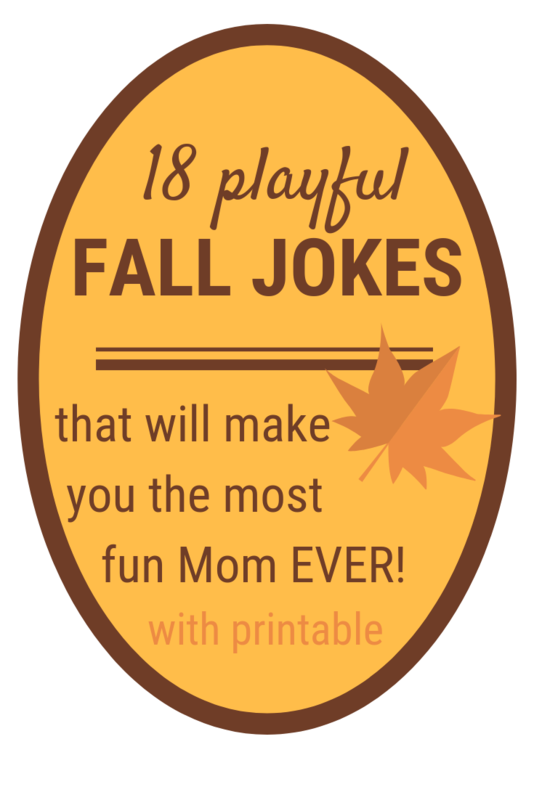 18 printable FALL Jokes sent straight to you!